Happy Monday Scrappers! It’s Kim back to bring you the Bella Gypsy news for the new week! Do you have boys? If you do then this is the week for you! 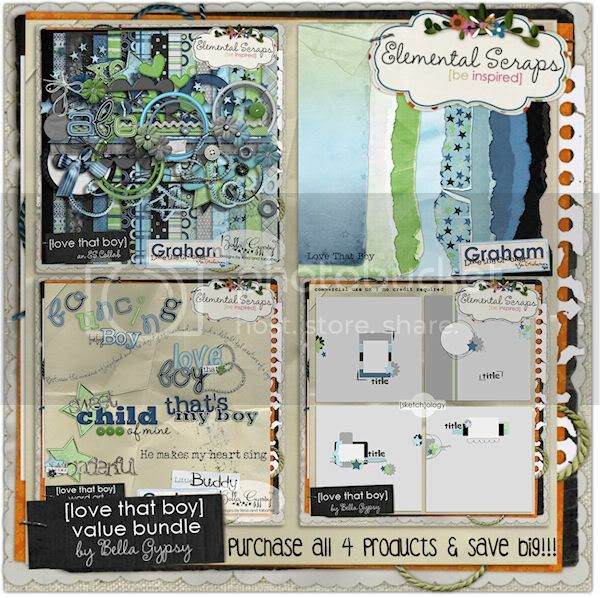 There are lots of boy goodies hitting Elemental Scraps today! I am the mommy of 3 boys and one on the way so I was in heaven to see so many scrumptious new boy goodies because there can never be too many! 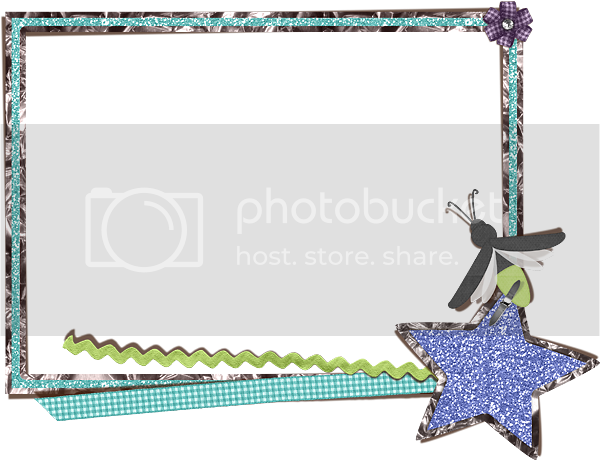 Before I start revealing all the goodies I want to share some exciting news with you! Bella Gypsy’s guest spot at ScrapMatters has become permanent now! Woo Hoo! That’s right! The Bella Gypsy goodies are staying at ScrapMatters. ScrapMatters is having some server issues right now but I know they are working behind the scenes to get everything up and running as soon as possible! Now for the goodies…First up we have a solo kit, Backyard Adventurer. It’s perfect for all those backyard explorers you may have! All Aboard! Do you remember the whole “riding the train” story from last Monday…go back if you need a good laugh…well, I already scrapped some of the pictures! 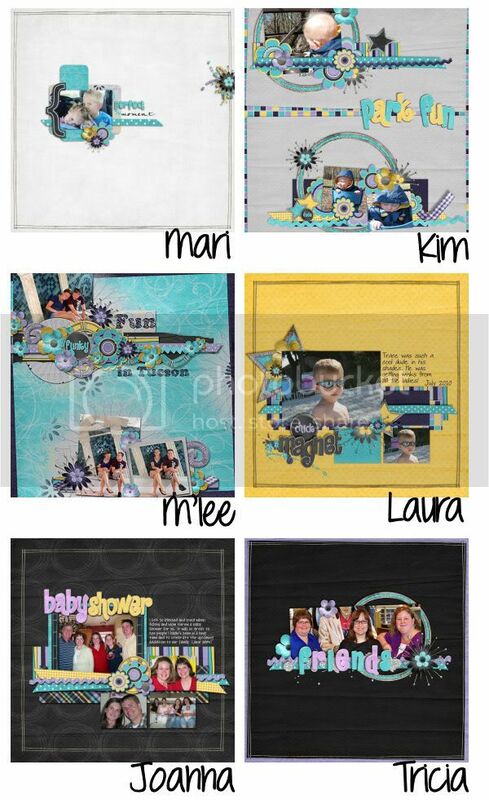 Chugging Right Along is another solo kit that is hitting the stores today! It’s perfect for all those little train engineers! 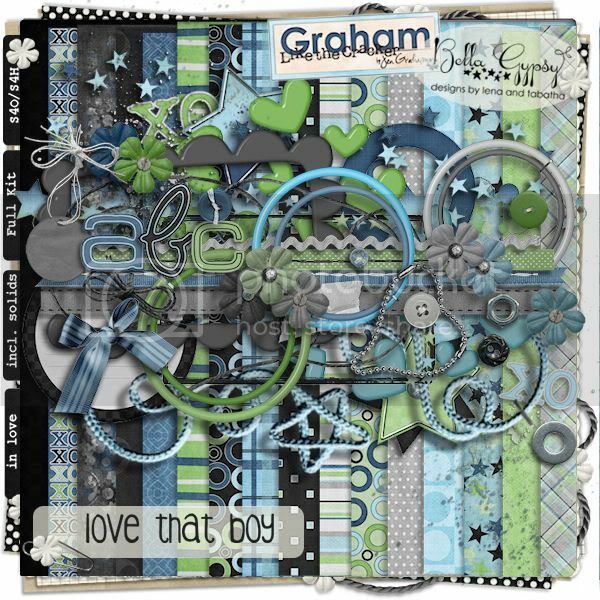 Bella Gypsy teamed up with Graham Like the Cracker to bring you this HUGE bundle that you will surely love! 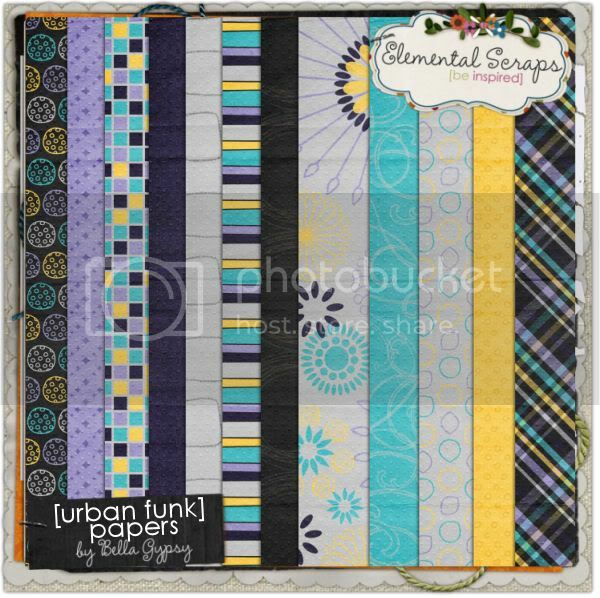 Love That Boy is full of papers and elements and has tons of extras that you won’t want to miss out on! A new month is just around the corner…can you believe August is almost here!!! 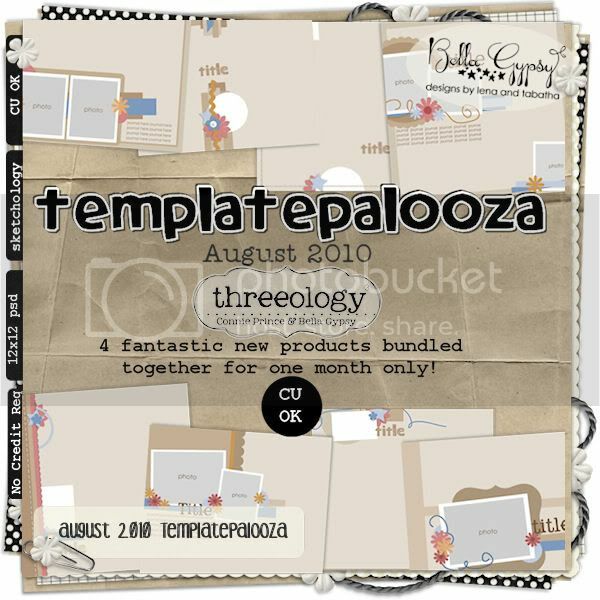 A new month means a new Templatepalooza is hitting the store! 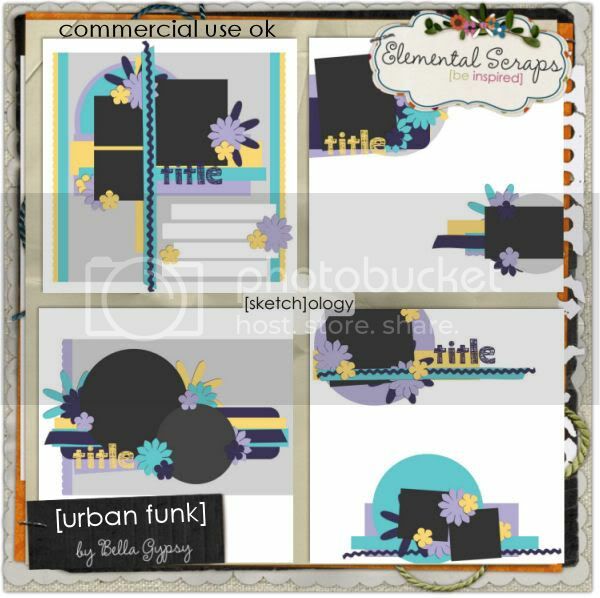 Feast your eyes on the August Templatepalooza by Bella Gypsy and Connie Prince! 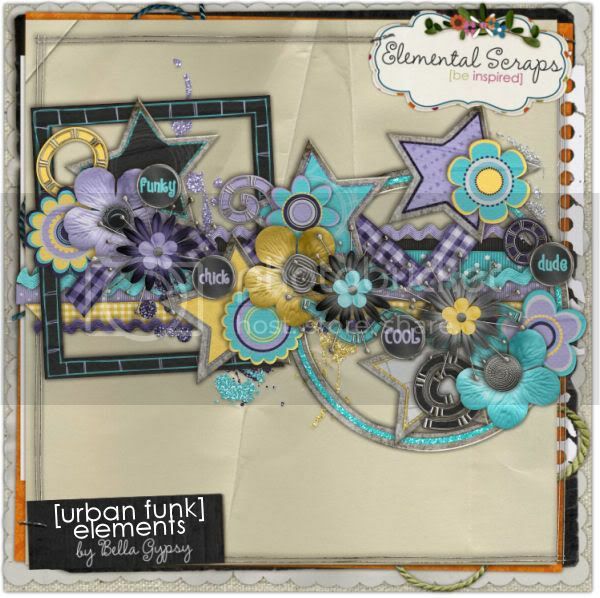 Color Play Monday at Elemental Scraps is here! 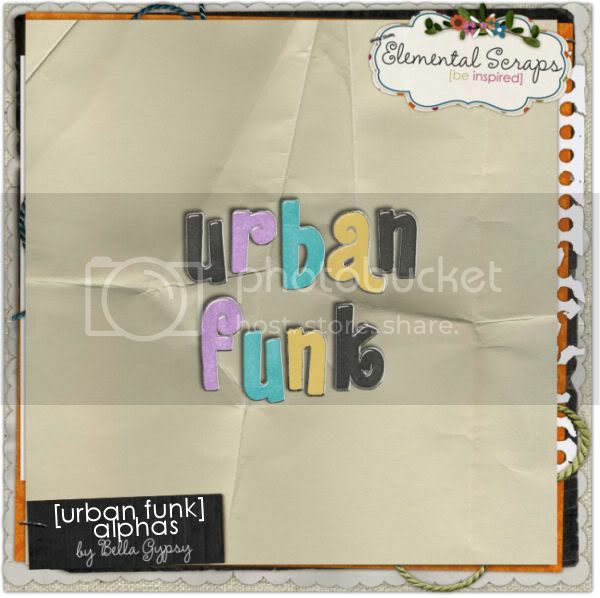 Every month the designers come up with a new amazing swatch and create some awesome mix and match products for you! You saw the peek yesterday…now it’s time to see the full reveal of 4 amazing products! Each pack is only $1!